email list online fast and easy. Priced to scale. 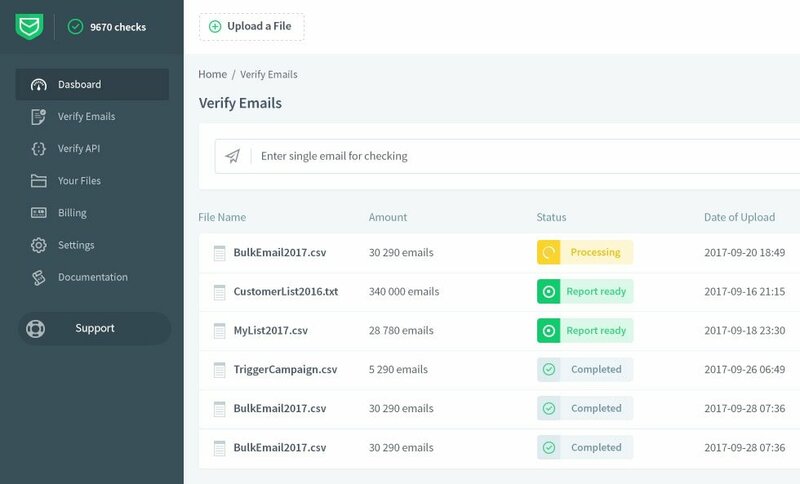 Pay for email verifying as you go. 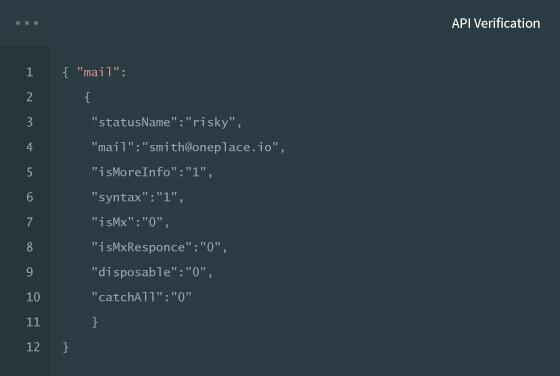 Just drag & drop your file with emails into the admin panel and email adresses will be verified and sorted. An assurance report with results will be ready to download soon. It doesn’t get any easier! 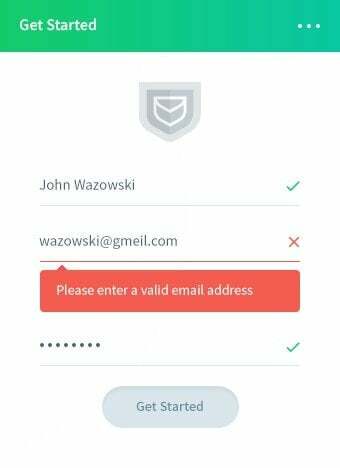 Run process verifying email addresses straight on your web or mobile application. 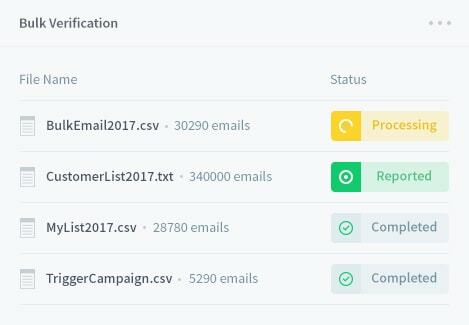 This is the best way to capture good leads discarding invalid email addresses just at the point.